MOUNT-IT! 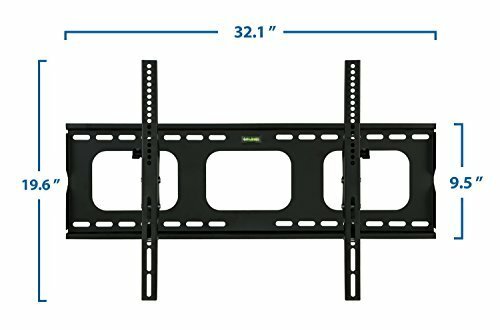 NEW Universal Heavy Duty Premium Tilt Tilting Wall Mount Bracket For Samsung, Sony, Vizio, Panasonic, LG TVs sizes 32" to 60"
Don't risk your TV with the thinner cheaper models! This wall mounted bracket is the strongest around and is designed to fit flat screen LCD and Plasma style TVs between 32" and 60". The bracket is a universal model and designed to fit all of the major manufacturer models. 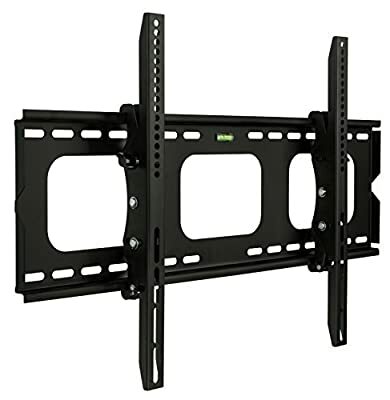 The bracket also includes a unique tilting mechanism which can be used to angle the TV up and down by 15° to ensure you have the ideal viewing angle. Once you get the perfect angle you can lock the bracket in place. The bracket comes complete with a handy spirit level fitted to the wall plate to ensure that you get a perfectly level fit. The TV bracket comes complete with all of the fixing required to install (tools required). Weight rated to 175 lbs - This bracket is one of the strongest brackets available on Amazon Constructed from reinforced heavy gauge cold rolled steel - this bracket is very strong! Back Plate features a number of large cut outs to mount over plug sockets and Ariel plates. 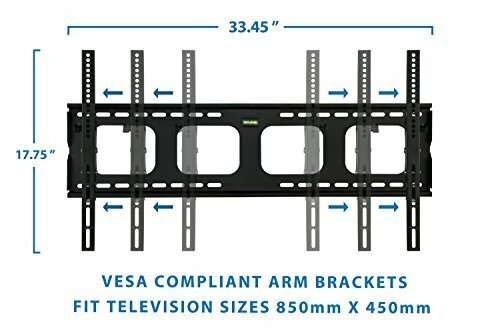 This Bracket will Fit 99% of all makes and models of TV within the stated size range (32" to 60") Max VESA Dimensions 770 x 470mm. Quick and easy to install - bracket comes complete with full instructions and FREE FITTING HARDWARE. Compliant to VESA Standards - VESA measurements are the spacings of the holes on the back of your TV. Please measure these to ensure that your TV is compatible with this bracket. Multiple wall fixing points. User manual included. Please note, the width of the backplate is 31" inches wide. Some 32" TVs may have a width that is less than 31", making the mount visible from behind the TV. Please measure the width of your TV, before purchasing this mount. 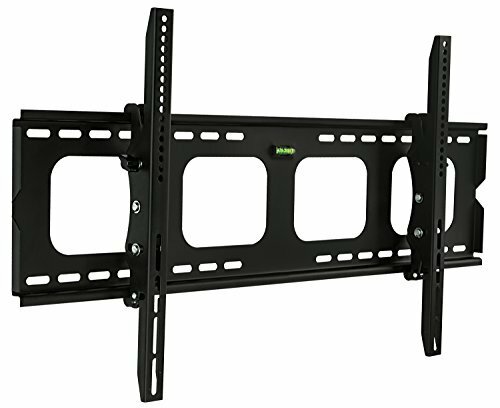 Universal TV wall mounting brackets fit nearly all flat-panel TVs . Continuous innovative tilt motion is possible without the use of tools. Fits TVs with installation holes up to 30" apart horizontally and 17.5" apart vertically. TV stays 3 1/4" away from the wall. 30" wide wall plate supports block wall installation or installation on either 8", 12" or 16" wall studs. Includes complete hardware kit and installation instructions.